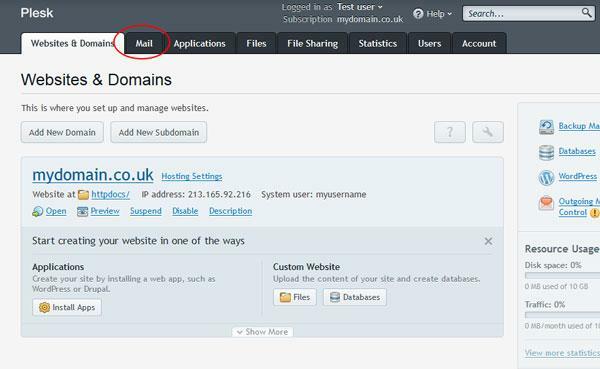 Replace the "mydomain.co.uk" there with whatever your web address is to access the panel for your site. You may receive some warnings from your browser about security. Just skip through these and you will be presented with a login screen. Enter your login details, and press "Log In". Step 1: Click on the account you wish to edit. 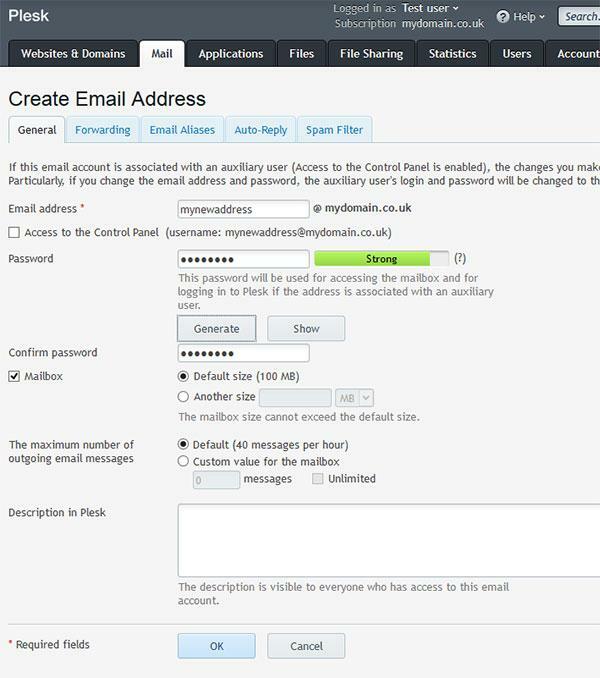 Step 1: Click the Create Email Address button. 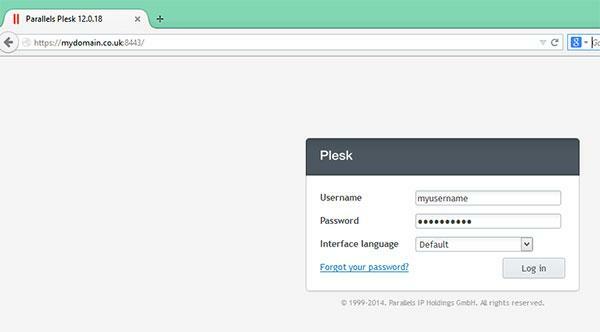 Step 2: Enter the name of the address you want to create, and input a password. Everything else can be left as-is unless you know otherwise. 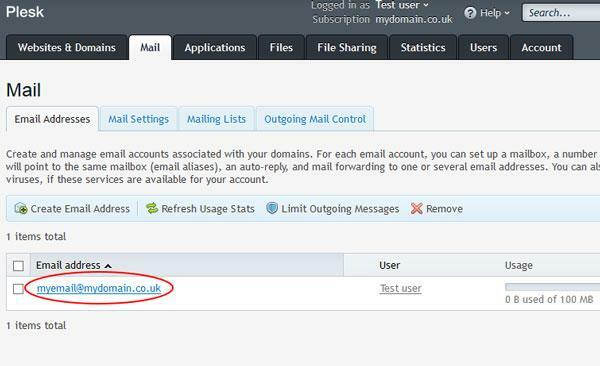 If required, we have guides on setting up a new email account here. Step 2: Click the "Forward" tab. Tick the "Switch on Mail Forwarding" box. 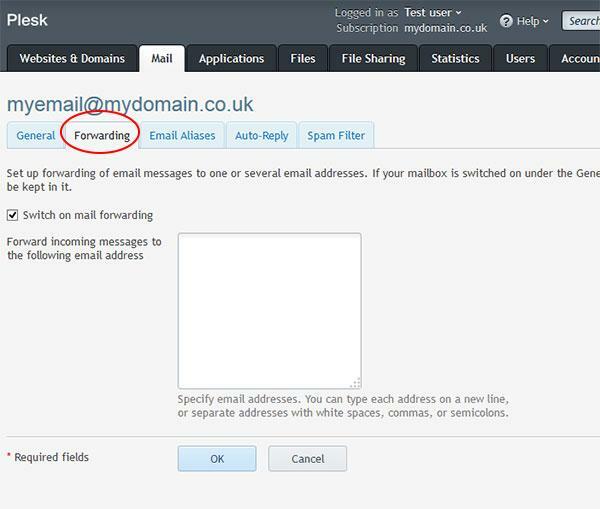 Finally, list the address(es) you want to forward emails to this address to. 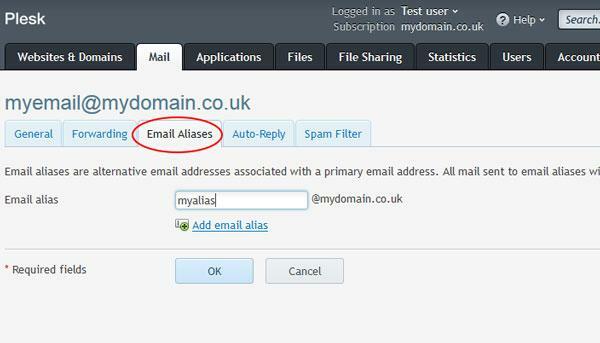 An email alias is an alternative email address that will hit the inbox of the account you are editing. 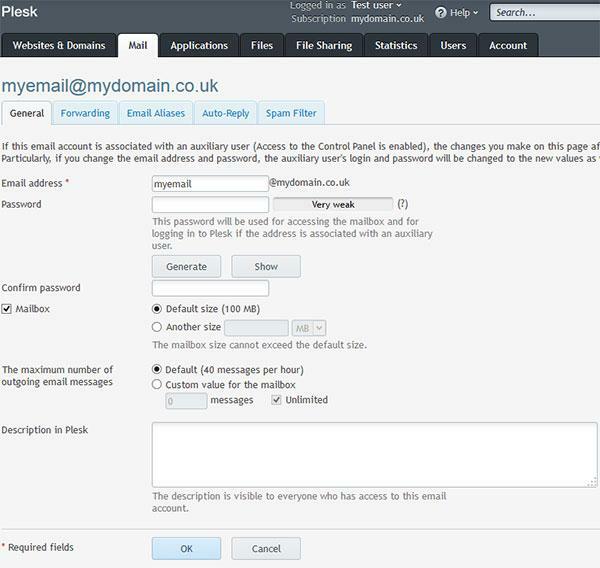 For example, if you have an email address of firstname.lastname@mydomain.co.uk, you may also want an alias of initial.lastname@mydomain.co.uk. Those emails will still be delivered into the firstname.lastname inbox, but either address will work if an alias is set up. You may have as many aliases as you like. Step 2: Enter the alias you wish to add for this account. 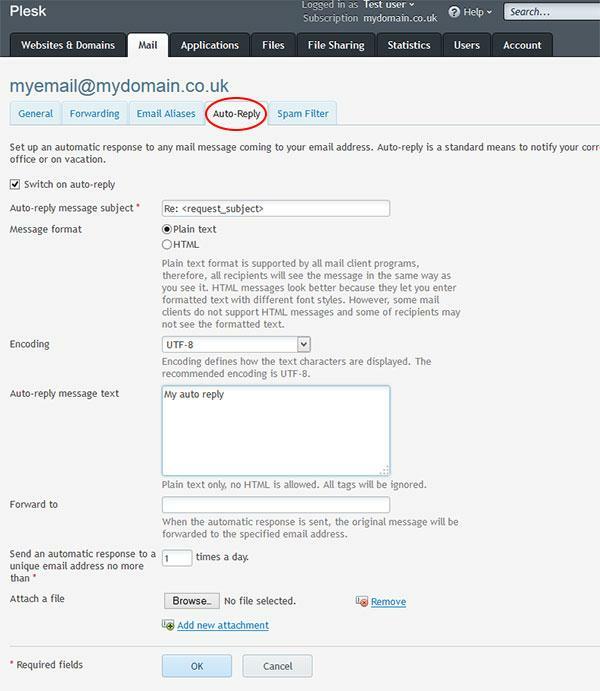 Click "OK"
You may wish to automatically reply to all messages sent to your account. This is commonly used to let people know you are on holiday and therefore not to expect a reply until a certain date. Step 2: Click the "Auto Reply" tab. Tick the "Switch on Auto Reply" box. Add the text you want your automatic reply to contain, then click the "OK" button.